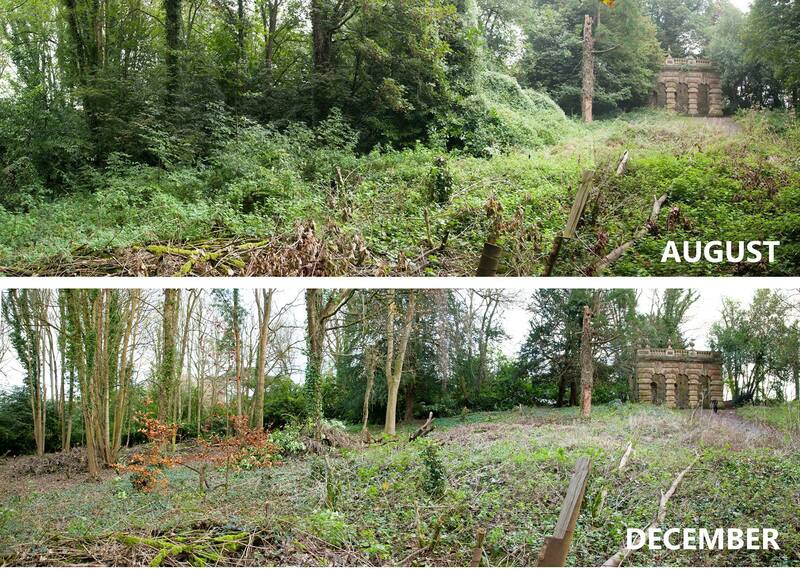 Finally, after working for six months on clearing laurels from the area between the ponds and the Echo we have achieved our objective. And what a difference it makes! It’s difficult now to remember how dark, inaccessible and lifeless the area was beneath the suffocating laurels was. Our clearance has opened out the whole area as far as the Eighteenth Century path that runs around the back of the woods here, and has restored views of the Echo from all manner of new perspectives. Our final working party on December 6th reached the very last corner of the area and has completed this phase of the project. 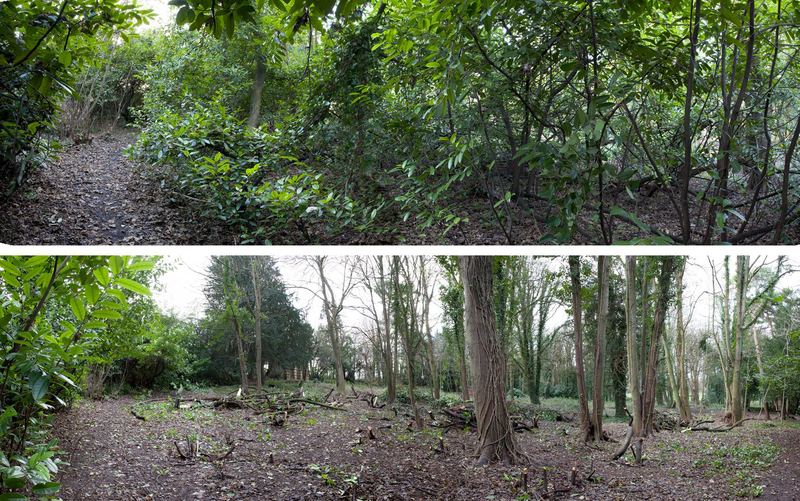 The laurel bushes have killed everything else off at ground level and prevented new trees and different species from growing. 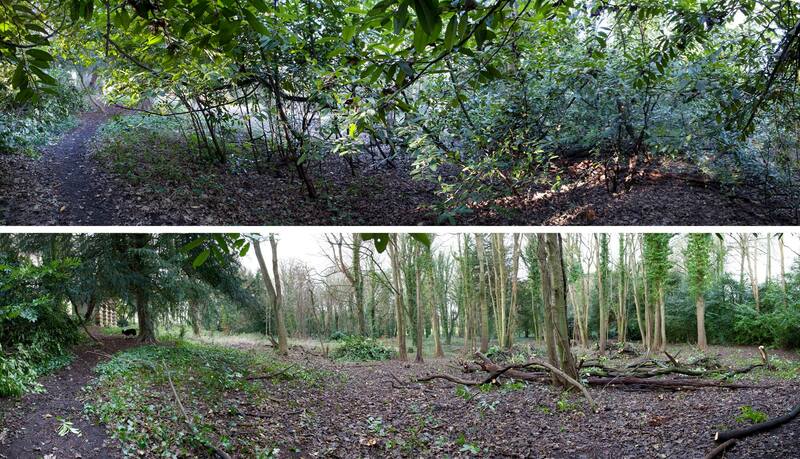 Our ambition now is to replant the area with native trees and shrubs and try to keep on top of the laurel to allow the area to grow in biodiversity. As well as the before and after photos from the day this album also incorporates some of the earlier shots from the same locations, showing the gradual steps the restoration took as the months progressed. Before and After. 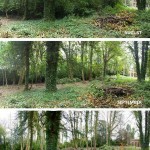 The narrow Georgian path leading through the woods to the Echo now looks down through the woodland. The branches on the left with the Echo beyond, and the trees in the distance on the right proves that this is the same location! From darkness to light. 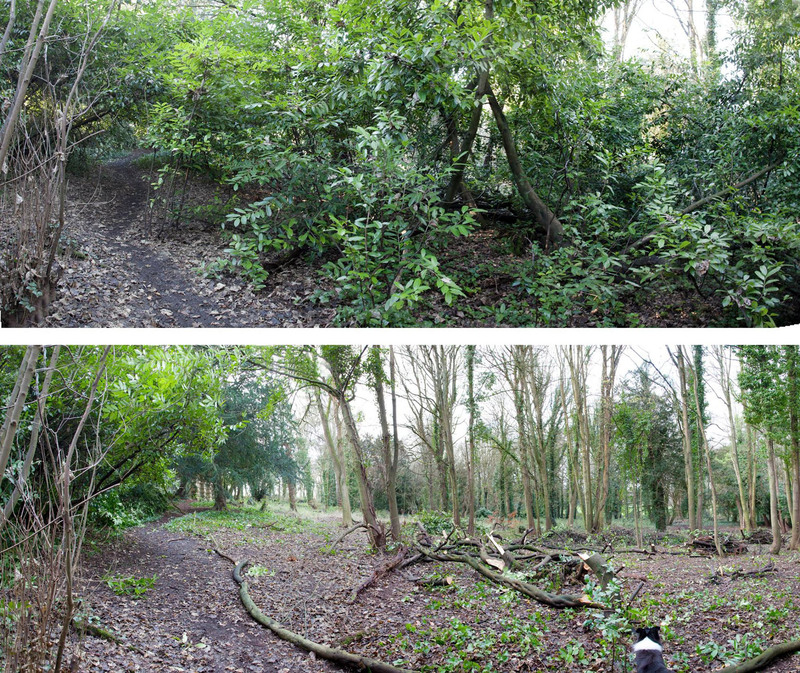 Our hope is that the original path, seen on the left, can be made into an accessible route for pushchairs and the disabled if we get funding in Green Capital Year. 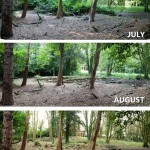 looking up from teh ponds over several months shows the impact of our work on bringing sunlight into the woodland for other species to take advantage of. Although less green through the change in season the area is now open and new opportunities exist for replanting more appropriate native species. From chaos to order, or close enough. The first photo doesn’t do justice to how dark and unappealing this walk was. 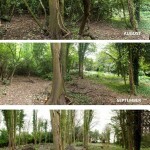 October was our bulb planting event and November too wet for photos, but the progression of our clearance work is clear.